December 2004 saw one of the deadliest natural disasters in recorded history. 228,000 people were killed when an earthquake off the coast of the Indonesian island of Sumatra triggered tsunami waves up to 30 m high. The destruction was extreme as the waves hit 14 different countries around the Indian Ocean. Economic losses totalled over 10 billion US dollars. The tourism industry in particular suffered a significant blow. 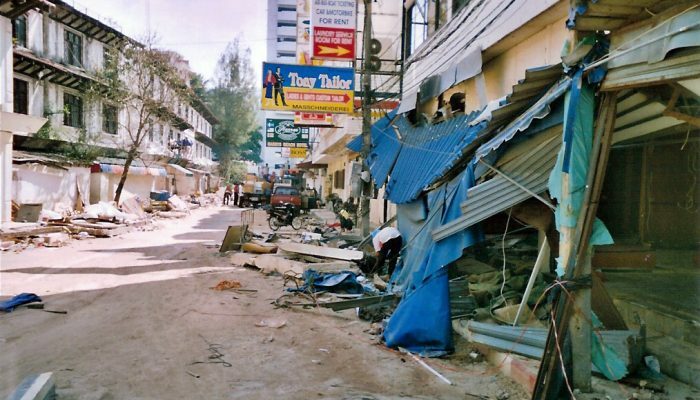 In Phuket, a province of Thailand, a quarter of the island’s hotels had closed six months after the tsumani. “The 2004 Sumatra tsunami and some of the recent Pacific Island tsunamis have shown their devastating impact on beaches and beach-related tourism,” says Andreas Schaefer, a researcher from the Karlsruhe Institute of Technology (KIT). But where is disaster likely to strike next? And can we be prepared for it? Schaefer and his colleagues are trying to find out. “We asked the question: can we quantify potential tsunami losses to tourism industries along beaches?” he says. The number of tourists visiting the most exotic locations in the world, places such as Thailand, Indonesia, Colombia and Costa Rica, are rising twice as fast as the global average. In some cases, visitor numbers are growing by as much as 11 percent each year. This rise in tourism in tsunami-prone locations is potentially a cause for real concern. “We compiled the first ever global loss index for the tourism industry [associated with beaches],” continues Schaefer. His findings were presented last month at the European Geosciences Union General Assembly in Vienna . Beaches can be affected by tsunamis in a variety of ways. As well as the immediate threat to human life, a tsunami wave can leave behind piles of debris or offshore sand that can damage a beach environment. Alternatively, large swathes of beach sand might be removed by erosion. And in cases where an earthquake is very close to the shore, the beach itself may be down-thrust or uplifted during the event, leaving it either permanently submerged underwater or high and dry. To quantify the locations in the world that are most at risk, Schaefer and his colleagues used two large datasets: tourist information and earthquake statistics. To calculate the human exposure, “we compiled a global tourism destination database,” he explains. This database includes over 200 countries, at least 10,000 tourist destinations, more than 24,000 beaches, and almost a million hotels from all around the globe. The research team then calculated tsunami probabilities all around the world using earthquake statistics and tectonic modelling. Chile, central America, Indonesia and Japan are the main countries that frequently experience large tsunamis. Over longer time periods, the Caribbean and Mediterranean are also likely to be affected by rarer events. To put the numbers in perspective, if you spend a day on the coast of Mexico you have a one in 60,000 chance of seeing a tsunami; in Crete, this decreases to one in 600,000. To model the tsunamis, it is also important to have a good understanding of the shape of the seafloor in the vicinity of the tourist sites. In the deep ocean, big tsunamis can have gaps between waves of as much as 200 km and wave heights as small as 1 m; ships are often unable to feel them passing. But as they approach the shore, the water shallows, causing the waves to slow down and pile up. The wave spacing decreases to less than 20 km, whilst the wave heights can grow to tens of metres. 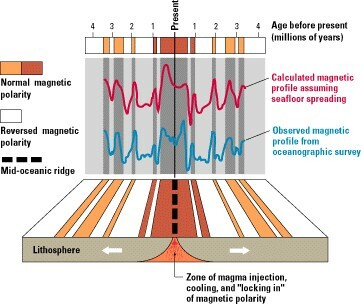 Hence, what looks like an innocuous fluctuation at sea can cause major damage when it reaches land. The depth of the adjacent seafloor plays a major role in this. Given the large number of variables at play, tsunami modelling involves many calculations and typically requires the use of a supercomputer. But in a paper published last year, Schaefer helped to develop a new simulation framework called TsuPy, which allows for quick modelling of tsunamis on personal computers. With this in place, he could rapidly simulate more than 10,000 tsunamis all around the world, calculate the expected wave heights at the tourist sites in his database, and estimate the likely economic losses. The researchers estimate 250 million US dollars in global annual loss to the tourism industry from tsunami waves. Furthermore, every 10 years they expect a single $1 billion event. 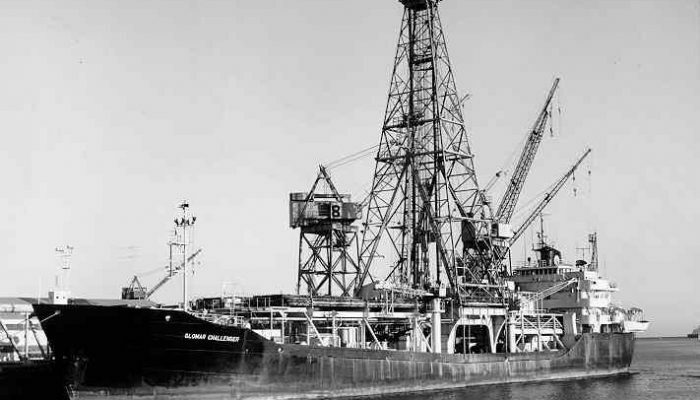 The last major tsunami to strike Hawaii was as a result of the biggest earthquake ever recorded: the 1960 magnitude 9.6 Valdivia earthquake on the coast of Chile. 60 people on Hawaii were killed and the damage amounted to 500 million US dollars in today’s terms. Other notable locations on the top ten list include Valparaiso (Chile), Bali (Indonesia), and Phuket (Thailand). “Locations that are known for their tourism are at the top of the list because there is a lot [of existing infrastructure] that could be damaged,” explains Schaefer. Slightly surprisingly, southwest Turkey is also high on the list. Furthermore, places like Tonga and Vanuatu are particularly at risk. They have rapidly developing tourist industries and large projected losses per dollar of tourism-related business, so they feature highly on Schaefer’s list. “They are mostly small island nations with a significant need for tourist dollars,” explains Daniell. For many parts of the world, the results are not necessarily good news. But they are a first step inasmuch as they highlight the locations that are currently thought to be at greatest risk. “We hope, with these results, to raise awareness among tourists. But they do not need to be afraid,” says Schaefer. With adequate preparation and evacuation planning, it is hoped that future disaster on the scale of the 2004 event might be averted. A seaglider being launched. Credit: University of East Anglia. Buoyancy-driven drones are helping scientists paint a picture of the ocean with sound. 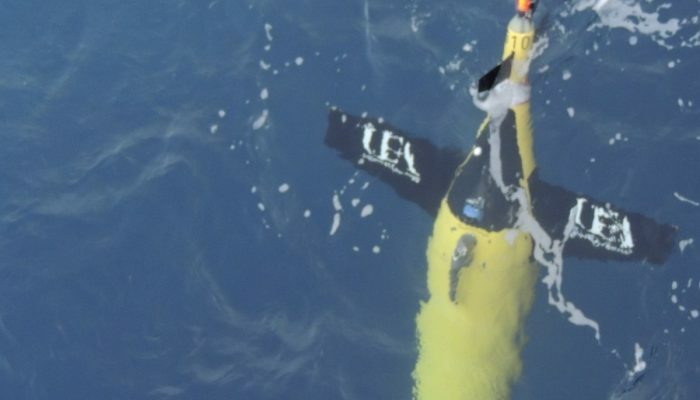 Around the world, silent marine robots are eavesdropping on the ocean and its inhabitants. The robots can travel 1000 metres beneath the surface and cover thousands of kilometres in a single trip, listening in on the ocean as they go. These bright yellow bots, known as Seagliders, are about the size of a diver, but can explore the ocean for months on end, periodically relaying results to satellites. Researchers have been utilising gliders for about 20 years, first using them to measure temperature and salinity. But over time, scientists have expanded their capabilities and now they can record ocean sounds. You can learn a lot from the recordings if you know how to read them. The background noise is produced by high winds, the low frequency rumble comes from moving ships, and the punctuating whistles and clicks are produced by different marine species. Pierre Cauchy, a PhD researcher from the University of East Anglia, UK, has been using seagliders to create an underwater soundscape across the Mediterranean, Atlantic and Southern Oceans. He presented his latest findings at the EGU General Assembly in Vienna last week. Here in the ocean, the nights can be noisier than the days. When the sun goes down, fish sing out in chorus, a sound that rings out at 700 Hz. “I wasn’t expecting that, it was serendipitous,” says Cauchy. It’s not only fish that can be picked up by the gliders; dolphins and whales make characteristic whistles and clicks, meaning species can be identified from their vocal patterns alone. The next step is to cross check the recordings with others made in the area, and confirm which species he’s been listening to. In the future, Cauchy hopes the technology will be used to monitor changes in ecosystem health over time. While it’s hard to know what a healthy ecosystem sounds like, you can monitor the same spot from year to year and work out whether it is healthier, or less healthy than it was previously. A more healthy ecosystem may be filled with the sounds of different fish, and other species, representing a diverse, species-rich habitat.. A less healthy one would be quiet, or more monotonous. The sound of a pod of pilot whales – bright areas indicate bursts of sound at a particular frequency. The patterns and frequencies differ for each species. Credit: Cauchy et al. (2008). Scientists could also use gliders to fill gaps in our understanding of extreme weather around the world, especially in places where collecting data is a challenge, like the high seas. “That’s the good thing with gliders, you can send them where data is needed,” emphasises Cauchy. Researchers have been using satellite data to validate wind speed models and map weather events like hurricanes, but even satellites need to be calibrated against measurements made on the Earth’s surface. The seagliders can do just that; hydrophones pick up wind at two to 10 kilohertz and the faster the wind, the louder the sound. “The more in-situ data you have, the better your satellite data is, and that’s better for the models,” Cauchy explains. Future work could see scientists sending gliders into hurricanes to measure wind speeds reached during extreme weather events. Cauchy, P. Passive Acoustic Monitoring from ocean gliders. EGU General Assembly. 2018. EGU General Assembly press conference recording available here. Cape Spear in Newfoundland, Canada is the easternmost location in North America and one of the few places in the world where you can contemplate icebergs from the shore. Every year, about 400 to 800 bergs journey down to this particular point. These 10,000-year-old ice giants drift along the northern shore of Newfoundland with the Labrador Current. About 90 percent of these icebergs come from western Greenland glaciers, where they break off directly into Baffin Bay. Often these bergs remain in the bay for several years, preserved by the cold arctic waters and circulating along with local currents. Eventually, many icebergs escape through the Davis Strait, drifting down the Labrador Current and passing through Iceberg Alley to reach the Grand Banks of Newfoundland, the region of the North American continental shelf where Cape Spear is situated. This journey from Greenland to the Grand Banks usually takes between two and three years. Cape Spear is just a few kilometres from Newfoundland’s largest city, St. John’s, and attracts many tourists during spring and early summer months to enjoy the immense icebergs. The chances of seeing them depend greatly on the temperature, wind direction, ocean currents and amount of sea ice during the winter, which protects icebergs from erosion. 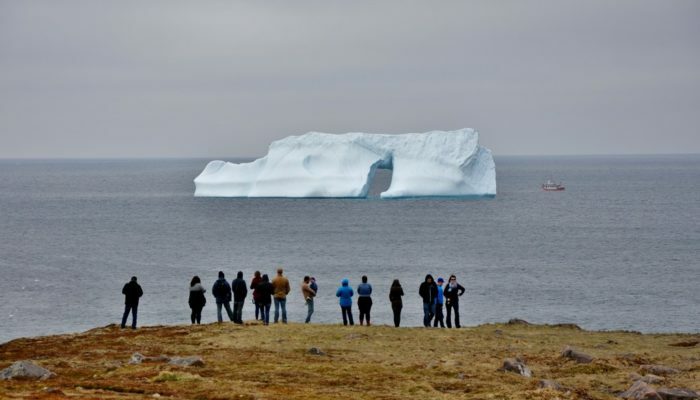 The icebergs have a great impact on Newfoundland’s identity and economy, bringing tourists and even giving breweries unique ice for beer and liquor production. On the other hand, the floating ice can be a hazard to oil platforms and cargo boats. Smaller bergs can be especially hazardous since they are harder to detect with marine radar. If deep enough, the icebergs can also damage seabed structures like pipelines and cables. Thus, it is important to keep monitoring the dynamics of icebergs, especially since there will likely be a greater volume of ice breaking from the Greenland glaciers and drifting in the North Atlantic due to climate change. Barber, D.G., Babb, D.G., Ehn, J.K., Chan,W., Matthes, L., Dalman, L. A., et al. : Increasing mobility of high Arctic Sea ice increases marine hazards off the east coast of Newfoundland, Geophysical Research Letters, 45,2370–2379, https://doi.org/10.1002/2017GL076587, 2018. Diemand, D., Icebergs, Encyclopedia of Ocean Sciences, 3: 1255-1264, 2001. Iceberg Finder, Icebergs Facts. Newfoundland & Labrador Tourism, 2012.